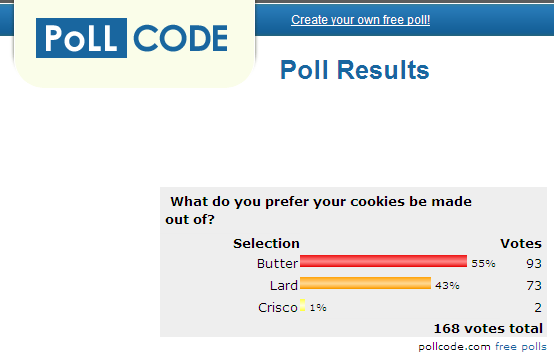 The Great Cookie Debate Turned Internet Poll - JP loves LIFE! My favorite cookies, fresh made Sunday night! Friday evening, a simple online conversation between a couple of friends (Mike, Kelly and I) took a strange turn. 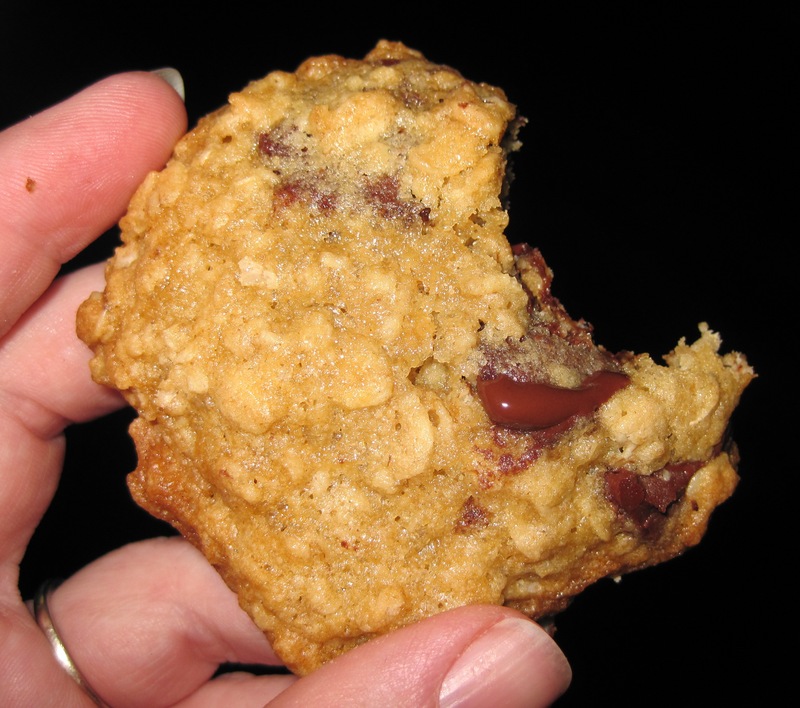 We went from a mundane topic like working late to cookies (maybe we were all just hungry?). Anyway, none of us planned it but the next thing we knew the three of us had a short debate with cookie ingredient preferences falling in line with our favorite cookie makers. Mike was absolutely certain that lard makes the best cookies cause that’s how his wife makes them. Kelly & I were firmly in the camp of our mom’s made the best cookies and they used butter so butter must be the ingredient of choice. What ensued… well, I’m still a bit baffled! I’ve tried to recreate the timeline… it extends across several social media channels and several users. It was totally hysterical at the time and quite frankly, I’m still laughing! A couple more comments popped up and Mike said “ok, that’s it, lets have a real poll http://bit.ly/dxBzuS.” And from there it was on! Mike started eliciting the support of lard users and I went out with a dairy cry (great timing for National Dairy Month I must add)! Kelly was smart enough to let us fight it out mano y mano. Dozens of people commented on Facebook pages, replied to tweets etc. It was unbelievable how many people wanted to join me in expressing the love of good butter-based cookies! My Facebook page drew lots of personal and humorous comments from cookie makers! “Butter for everything, but Molasses cookies, and those are better if you use lard.” Mike pointed out that this person should clearly vote for lard then. LOL. The most voting results as of Monday evening. Please feel free to cast your vote if you haven't already. As a dairy farmers wife, you can guess what I’m going to go for…………BUTTER! I always use butter, and I must say my cookies taste pretty good. I have tried crisco before and it just never turns out right.